Techmarket � Electronics, Organics, Shoes, Glasses, Tools, Fashion & Affiliates WooCommerce Theme�is our answer to new trends in full resolution designs. Clean, smart, robust and flexible�multi-demo & electronics store WordPress WooCommerce theme�with vertical and horizontal menu variants � ideal for any type of eCommerce Shop. 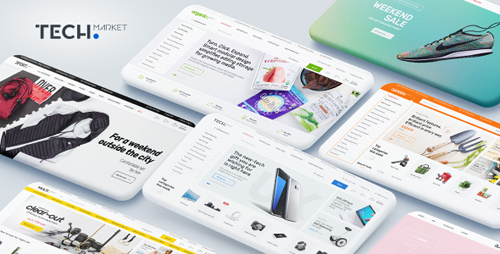 This theme is brought to you by the same team that developed�Electro � Electronics Store WooCommerce Theme,�MediaCenter � Electronics Store WooCommerce Theme,�Pizzaro � Fast Food & Restaurant WooCommerce Theme�and�MyBag � Single Product WooCommerce Theme.